the custom ring design process: rose gold + pink morganite + diamonds = DUH! 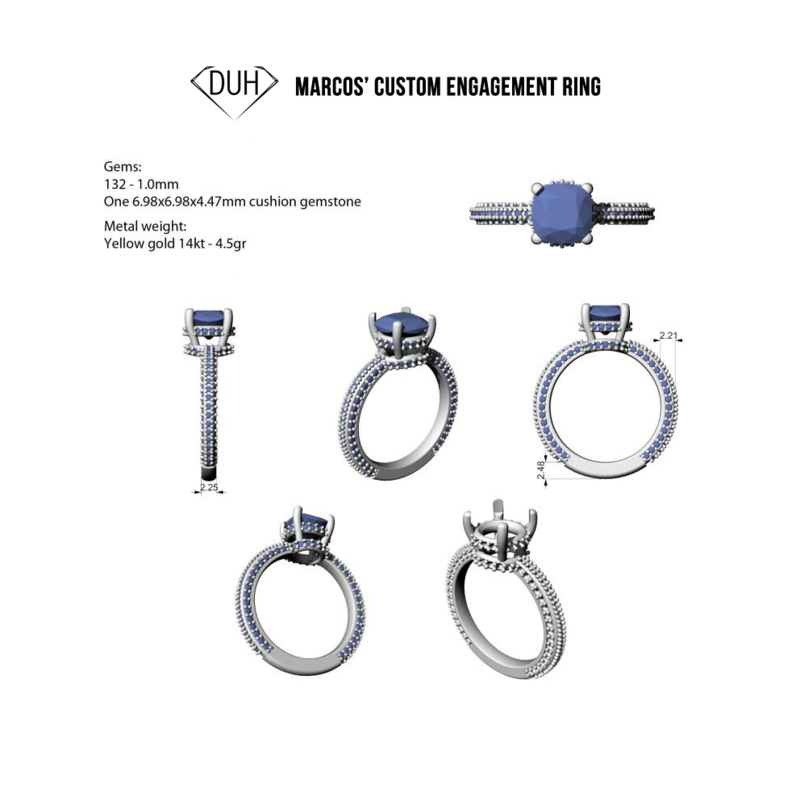 Marcos’ wife lost her engagement ring and he came to us looking for a new ring for her to wear. 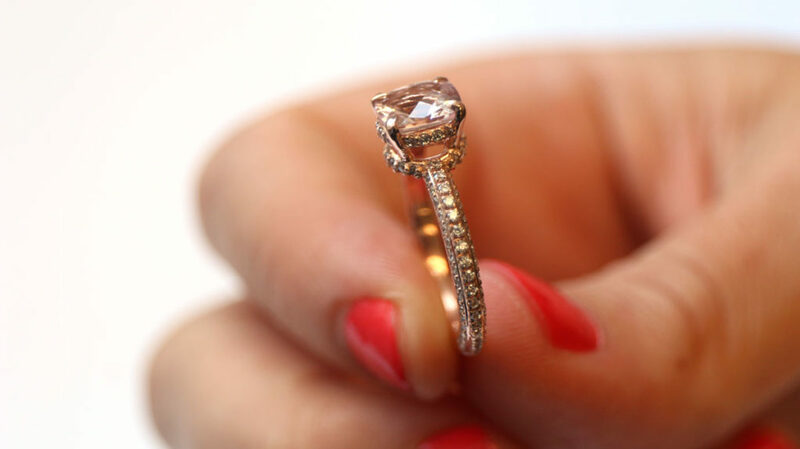 He wanted a 1-2ct morganite set in rose gold and small diamonds in as many places as possible on the setting. He sent us some inspiration images and his budget. 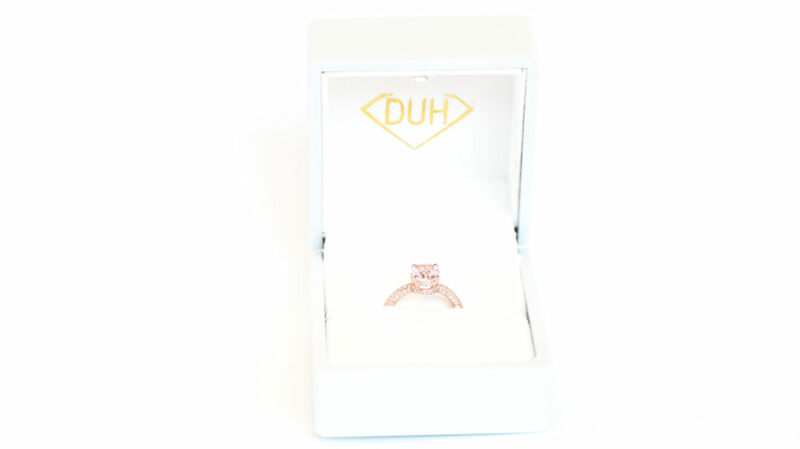 Both morganite and moissianite are extremely popular diamond alternatives. What’s the difference, you ask? Great question! They actually don’t have that much in common except they are both popular. Morganite occurs naturally and is the pink to orange-pink variety of beryl, a mineral that includes emerald and aquamarine. It has an MoHs hardness of 7.5-8. 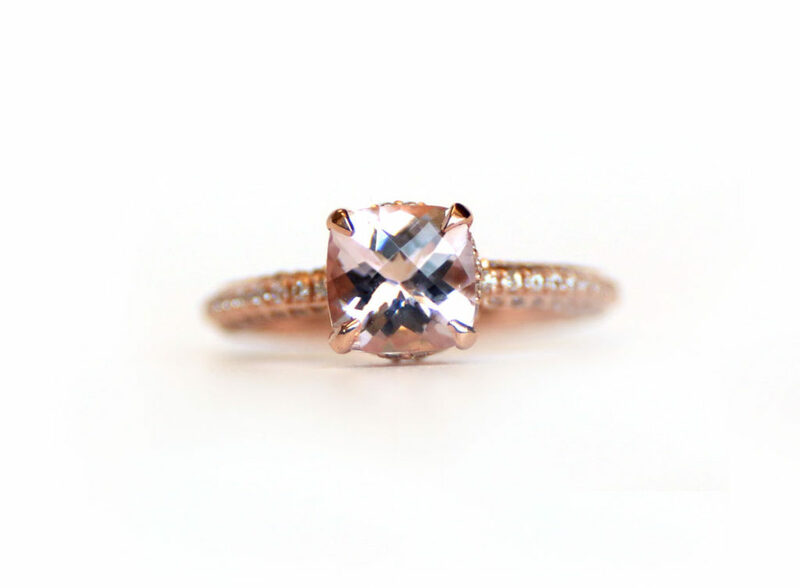 You get various shades of morganite, they can be a pale pink to a very bright salmon pink. Today’s moissanite is all made in a lab. 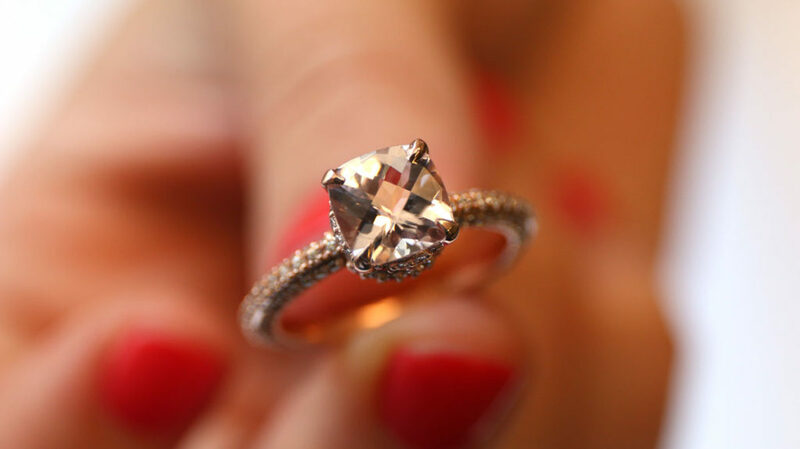 Moissanite has an MoHs hardness of 9.25, which is harder than with Morganite and is popular as a diamond simulant. 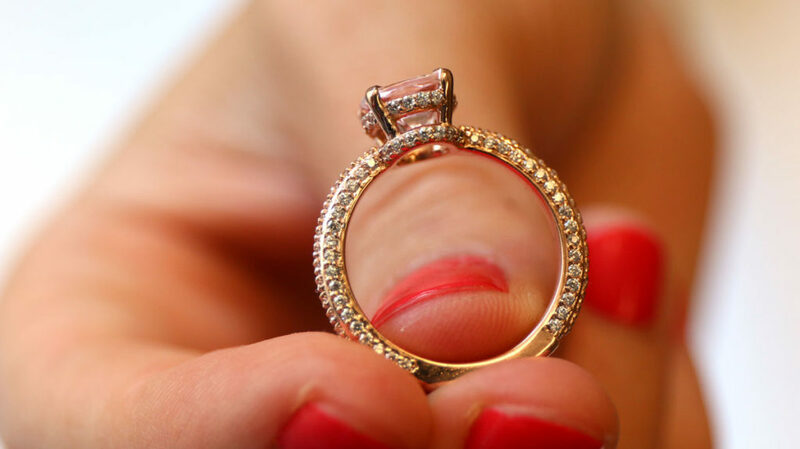 You can get it in different colours, though most opt for near colorless to take the place of a diamond. With our custom design process, the client gets infinite revisions on the 3D model until the piece is exactly as they want it. This way they have full control of the process and can make sure they love it from every angle. Once they are in love with the design and give it the go ahead, we cast it in the metal of their choice and set the gems. Marcos had one concern with the render – he wanted prongs that would claw the stone and in the render they look blunt and straight. Once we told him that’s how we have to print it to get the claw – he gave us the go ahead on to production. 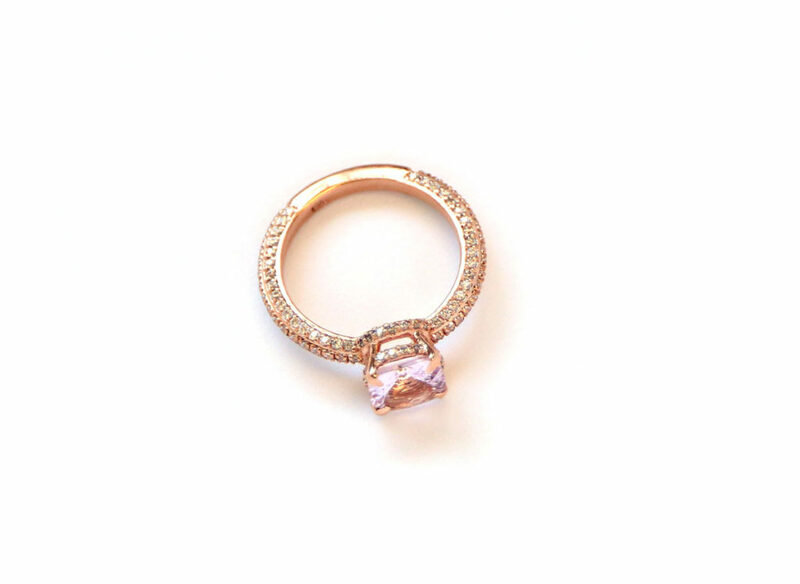 We set the beautiful morganite in 14k rose gold and set it with the 132 diamonds – but who’s counting? Here’s how it turned out! !